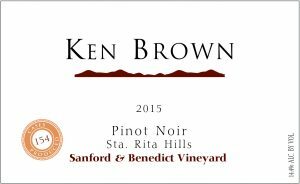 Ken Brown is the winemaker and owner of the winery that bears his same name. 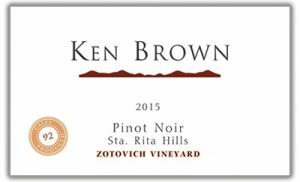 A pioneer in Santa Barbara County, he has been prolific throughout his 41-year career, working at Zaca Mesa Vineyards as the first winemaker, starting Byron Vineyard & Winery, and moving to small lot wines with his wife Deborah at Ken Brown Wines, producing only 3,000 cases a year. Read what he has to say about his career below. I was hired by Zaca Mesa Vineyards to be their founding winemaker in charge of developing the new Zaca Mesa Winery. In 1984 my wife Deborah and I along with a few partners started Byron Vineyard & Winery, named for my rst name (Byron Kent Brown). I stepped down from Zaca Mesa in 1988 to give full time attention to Byron’s winemaking and sales efforts. This allowed me to focus on making high quality Chardonnay and Pinot Noir from Santa Maria Valley and the Sanford & Benedict Vineyard in what is now known as the Sta. Rita Hills. 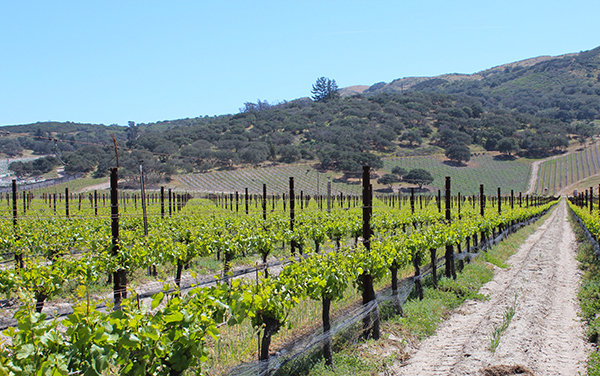 In 1988 our partnership purchased the 125-acre Nielson Vineyard which was planted in 1964 and is the oldest commercial vineyard in Santa Barbara County. 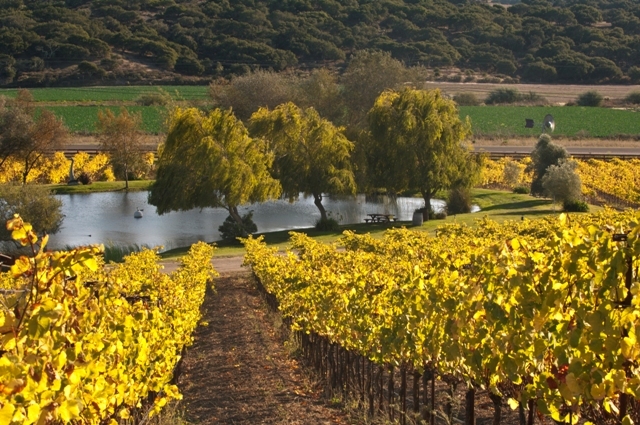 Located adjacent to Byron Winery, the Nielson Vineyard had supplied most of the grapes for Byron’s wine production over the years. In 1990 our partnership sold Byron Vineyard & Winery to the Mondavi Family and merged with their 600 acres of vineyards that bordered our estate. We planted a large experimental vineyard to determine the best planting density, rootstocks and clones for producing outstanding Pinot Noir and Chardonnay. Based on the conclusions of this experimental planting, many acres of vineyards were redeveloped to the best combinations as determined from the experimental trials. In 1997 a new gravity winery was built to best optimize the winemaking for the exceptional quality grapes being produced from the new plantings. After running the Byron Winery operations for the Mondavi family for 14 years, I decided it was time to begin a small winery focusing on small lots of Pinot Noir and Chardonnay from some of the very nest vineyards in Santa Barbara County. 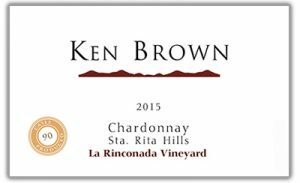 Deborah and I began Ken Brown Wines in 2003 with a production of about 3,000 cases. 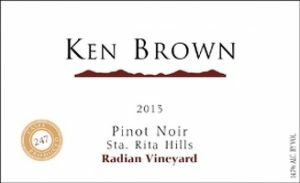 Ken Brown Wines has maintained its small hands-on winemaking and close customer relationships to this day. Our total production has remained in the 3,000 case range to ensure that we are able to continue to focus on the things that have made us successful. Wine Warehouse represents us throughout California and has done so for many years and is our only source for wholesale distribution in the country. The Radian Vineyard, located in the southwest corner of Sta. 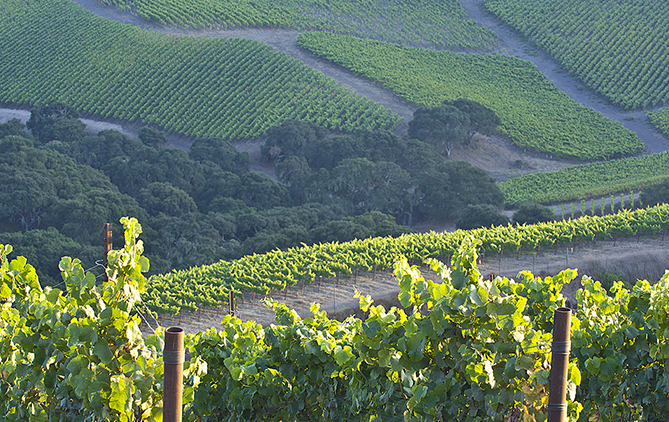 Rita Hills, has been an asset to Brown’s winery since 2007. One of the most highly regarded vineyards in the area, Rita’s Crown Vineyard, has the location most optional to produce premium Pinot Noir. You’ve been working side by side with your wife at Ken Brown Wines since 2003. What it is like to share a business with Deborah? Deborah and I make an excellent team since she is a detail person and is very good with numbers and my skill set is just about the opposite. She handles the bookkeeping and compliance and many other components of running a wine business. 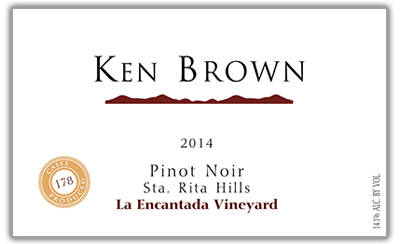 I handle all vineyard and winemaking oversight plus work closely with the sales and marketing of our Ken Brown Wines. As a small winery, we only have a limited number of full and part time employees. This allows us to keep in close contact with the day-to-day operations of our family business. The down side is that we usually spend seven days a week in an attempt to keep our winery operations running as smoothly as possible, which is rather typical of small family run wineries. You’ve spoken before about the fellowship among winemakers. How does this fellowship separate winemaking from other professions? Having worked in both real estate development and for IBM in the late 60s and early 70s, I have a deep appreciation for the synergist relationship among winegrowers that is generally different from the more competitive work environment that exists in most other businesses. With very few exceptions, the wine business is based on supportive relationships within vineyards and wineries of our industry. This spirit is embodied in the culture of winegrowing with the sense that if one person can help another person, we all bene t from the combined good will of all of us who call the wine business our career of choice. What is it about working with wine that is so satisfying? For me, making wine offers much more enjoyment than would be possible if I were involved with the making of other products since at its essence, wine represents a way of life. Working with multiple disciplines in the business of making and selling wine we are often challenged by things we can’t control. Challenges and opportunities will always be a part of the winemaking and sales process and rightfully so, since they are what continue to inspire us to excel. At the end of the day it is gratifying to know that friends of wine can enjoy all that has come together in one glass of wine—the culmination of nature, science and the hard work of many people. Brown’s Clos Pepe Vineyard sits in the Northern corridor of the Sta. Rita Hills appellation.